History Historical Documents Collection), at NASA-Marshall. Task Group. Reprinted in NASA SP-4407, Vol. I, pp. 522-543. Allen, H. Julian, and A. J. Eggers. Ames, Milton B., chairman. September 14, 1966. Report of the Ad Hoc Subpanel on Reusable Launch Vehicle Technology. Aeronautics and Astronautics Coordinating Board. Baar, James, and William E. Howard. 1960. Polaris! New York: Harcourt, Brace. of Gas Turbines. New York: John Wiley. Bender, Marylin, and Selig Altschul. 1982. The Chosen Instrument. New York: Simon & Schuster. New Jersey: Princeton University Press. Above Zero. New York: Scribner. Since Keynes. Brighton, Sussex: Wheatsheaf Books, Ltd.
Clauser, Henry R., and George S. Brady. 1991. Materials Handbook. New York: McGraw-Hill. Waters. New York: Simon & Schuster. to Concorde. London: Mechanical Engineering Publications. Appomattox. New York: Pocket Books. Moon. New York: Penguin Books. of Space. London: Temple Press, Ltd.
K. F. Wakker. 1979. Rocket Propulsion and Spaceflight Dynamics. Belmont, California: Fearon-Pitman. Costello, John, and Terry Hughes. 1976. Concorde. London: Angus & Robertson. Juan Trippe and His Pan Am Empire. New York: Random House. World’s Airlines. London: Oxford University Press. revised version, July 31, 1969. Characteristics. Space Shuttle Task Group. Studies. Space Shuttle Task Group. Shuttle Systems Definition Evolution. Internal NASA paper. DuBridge, Lee, chairman. September 1969. 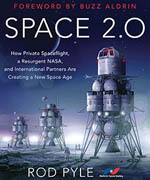 The Post-Apollo Space Program: Directions for the Future. President’s Science Advisory Committee. Durant, Will. 1957. The Reformation. New York: Simon and Schuster. Comes Ready or Not. Garden City, New York: Doubleday. Power: The Nixon Years. New York: Simon and Schuster. Faget, Maxime, and Milton Silveira. Earth-Surface to Orbit Shuttle. CASI 70A-44618. Fahrney, Rear Admiral D. S. Undated. The History of Pilotless Aircraft and Guided Missiles. Washington: Archives, Federation of American Scientists. Small Place: The Siege of Dien Bien Phu. New York: J. B.
Gomersall, Edward W., and Darrell E.
Fifties. Osceola, Wisconsin: Specialty Press. Halliday, David, and Robert Resnick. Air Force Flight Test Center. Heiss, Klaus P., and Oskar Morgenstern. October 28, 1971. Factors for a Decision on a New Reusable Space Transportation System. Memo to James Fletcher. Reprinted in NASA SP-4407, Vol. I, pp. 549-555. Space. Harrisburg, Pennsylvania: Stackpole Books. History of Commercial Aviation. New York: John Wiley. Space Flight. New York: John Wiley. Canaveral. Englewood Cliffs, New Jersey: Prentice-Hall. Triumph of the 747. New York: William Morrow. System. Marceline, Missouri: Walsworth Publishing Co.
World from the Twenties to the Eighties. New York: Harper & Row. 1961-1972. Washington: U.S. Government Printing Office. in Space. New York: Random House. Inside Story. London: Weidenfeld & Nicolson. The Life of Robert Goddard. New York: Farrar, Straus. the U.S. Space Program. New York: Praeger. Space Travel. New York: Viking Press. Loftus, J. P., Jr.; S. M. Andrich, M. G.
to the Moon. Cambridge, Massachusetts: MIT Press. Panels, President’s Science Advisory Committee. Refractory Materials. Cleveland: CRC Press. and the Dream. Boston: Little, Brown. for Photogrammetry and Remote Sensing. X-29. Marine on St. Croix, Minnesota: Specialty Press. Morgenstern, Oskar, and Klaus P. Heiss. Family Network. New York: Dial Press. Interplanetary Society. London: University College. of Aerospace. Rockwell International Corp.
Conference. New York: Society of Automotive Engineers. of Ballistic Missiles in the United States Air Force 1945-1960. Washington: Office of Air Force History. Era. New York: Free Press. Group. NASA Planning Steering Group. CASI 71N-12420. Newhouse, John. 1982. The Sporty Game. New York: Alfred A. Knopf. Shape in the Sky. London: Jane’s Publishing Co.
Oxford Dictionary of Quotations. 1980. Design and Political Choice: The Space Shuttle 1969-1972. M.S. Valkyrie. Blue Ridge Summit, Pennsylvania: Tab Books. Rockwell Corp., Rocketdyne Division, Canoga Park, California. Maxwell Air Force Base, Alabama: Air Force archives. the Secrets: Richard Helms & the CIA. New York: Alfred A. Estimate: U.S. Intelligence Analysis and Soviet Strategic Forces. Princeton, New Jersey: Princeton University Press. Science. New York: Hill and Wang. Making of the Hydrogen Bomb. New York: Simon & Schuster. Espionage and the Soviet Target. New York: William Morrow. Schnyer, A. Dan, and R. G. Voss. Low Cost Operations. Washington: NASA-OMSF. Legacy: The Story of Boeing and Its People. New York: St.
Sonic Boom Handbook. New York: Ballantine Books. NASA SP-4407, Vol. I, pp. 473-490. Development: One Company’s Perspective. Seattle: Boeing. Propulsion Elements. New York: John Wiley. Log. Vol. 27, 1991; Vol. 31, 1995. 1969. Report of the Task Force on Space. Reprinted in NASA SP-4407, Vol. I, pp. 499-512. Folly. New York: Alfred A. Knopf. the President 1964. New York: Signet Books. President 1968. New York: Pocket Books. Marshall Space Flight Center. Documents are grouped by source below. ATR-72 (7231)-1. August 1, 1971.
and A. J. Stefan, Space Station Design for Flexibility. 70-044. June 1970. F. M. Stewart and R. L.
Wetherington, Space Shuttle Main Propulsion. 70-1249. October 1970. Philip P.
Pratt & Whitney’s Space Shuttle Main Engine. 71-804. July 1971. J. F. Yardley, McDonnell Douglas Fully Reusable Shuttle. 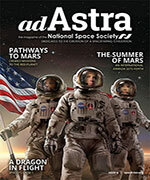 Economics of a New Space Transportation System. Karman Lecture: Advanced Technology and the Space Shuttle. 73-73. January 1973. M. W. Hunter II, R.
Spacecraft for Use with the Shuttle. 89-2387. July 1989. D. Warren and C.
2987. April-May 1991. B. L. Koff, Spanning the Globe with Jet Propulsion. December 1971. Ballistic Recoverable & Reusable LOX/RP Flyback Boosters. SHHDC-2965. Orbital Transport Second Stage Detailed Technical Report. Multipurpose Reusable Spacecraft Preliminary Design Effort. Shuttle Final Technical Report. CASI 70N-31536. Space Shuttle Concepts Mid-Term Report. B35-43 RP-28. November 15, 1971. Systems Evaluation and Selection. CASI 72N-18871. Shuttle System Program Definition; Phase B Extension Final Report. Evaluation and Selection; Phase B Extension Final Briefing. and Recovery System (Space Shuttle). SHHDC-0048. Alternate Space Shuttle Concepts. CASI 74N-76538. Effects Analysis Study. CASI 71N-37496. for Space Shuttle Low-Cost Payloads. CASI 72N-31883. Summary, Payload Effects Analysis. CASI 71N-35028. Space Shuttle Concepts Study. CASI 74N-76542. Concepts Study Extension. CASI 73N-30844. Shuttle Final Review. CASI 75N-74948. Rocket Motors for a Space Shuttle Booster. CASI 72N-22772. Reusable Orbital Transport, First Stage. CASI 65X-19708. Two-Stage Fully Reusable Space Transportation System. IIIL Booster for Space Shuttle Application. Orbital Transport System. CASI 72X-82639. Spacecraft Evolving from Gemini. CASI 69X-18044. Launch and Reentry Vehicle System. CASI 70N-15212. Fixed Wing Space Transportation System. CASI 70N-31597. System Phase B Study Final Report. SHHDC-2825. System Study Extension Final Report. CASI 76N-71552. Phase B System Study Extension. SHHDC-2854. Review: Phase B System Study Extension. Document: Space Shuttle System Program Definition (Phase B). SP-440. 1981. Donald D. Baals and William R. Corliss, Wind Tunnels of NASA. Courtney G. Brooks, Skylab: A Chronology. Vol. II: 1958-1968, Vol. III: 1969-1978. Travel: The Rocket Motor (English translation). SP-4208. 1983. W. David Compton and Charles D. Benson, Living and Working in Space: A History of Skylab. Came…” A History of the Johnson Space Center. TT F-9227. December 1964. Hermann Oberth, Rockets in Planetary Space (English translation). Strategic Missile and Associated Projects. Integral Launch and Reentry Vehicle System. CASI 70N-31832. Phase B Final Report. CASI 74N-75830. Phase B Extension. CASI 72N-13860. Shuttle Phase B Final Report. CASI 74N-31330. Phase B Extension Mid-Term Review. Phase B Extension, 4th Month Review. SHHDC-2961. Phase B Final Briefing. SHHDC-203. Program Phase B Definition. CASI 70X-18668. Station Phase B Extension Period. CASI 72N-18889. Station Phase B Extension. CASI 72N-22904. Main Engine Phase B Final Report. Volume I: Summary. Rocket Motors for a Space Shuttle Booster. CASI 73N-29820.